Trans-Pacific Piracy, the TPP agreement, hugely threatens self-determination. We're being forced to accept corporate controls. Elite negotiators secretly debate & covertly agree hidden binding rules, in a bold attempt at wide-ranging enslavement. TPP institution will force communities and national governments to welcome encroachment or pay punitive damages. 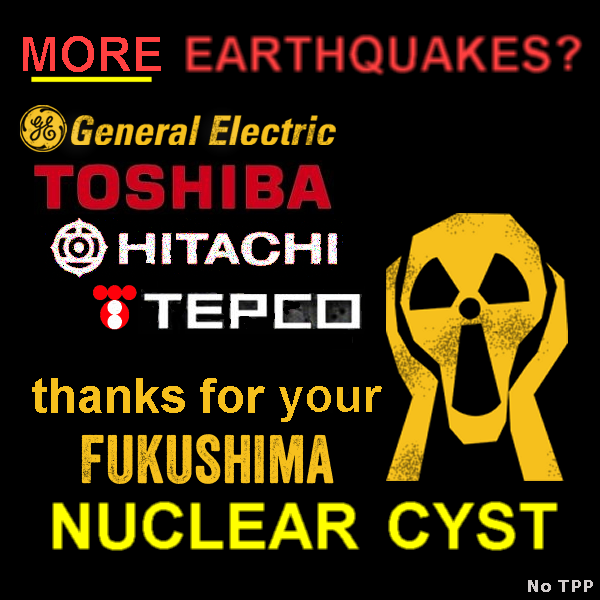 There's no choice but to accept monstrosities such as the Fukushima nuclear cyst. A century from now, if society survives, they'll surely hate TPP. Where's corporate leadership after meltdown? Corporations evade any & all responsibility.